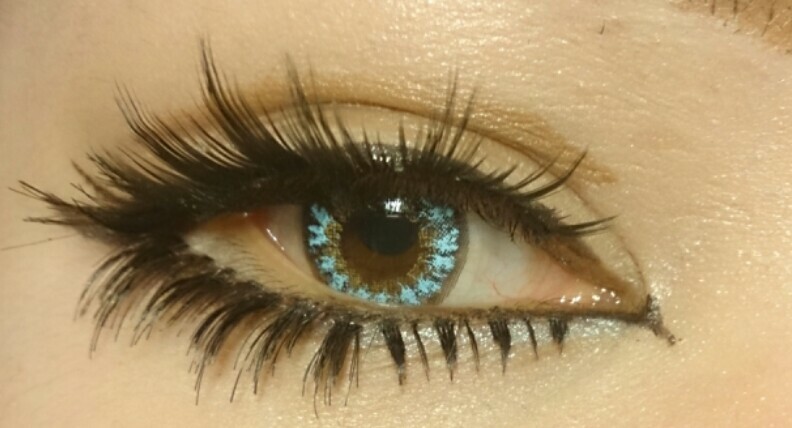 I bought them from Pinkyparadise for 28,90US$ so they're pretty expensive and they were a hassle to deal with too,since I kept receiving defect lenses in one way or the other. The first pair I bought,the one for my right eye were defective. I left both of them in the solution for 24hrs,rinsed them and tried them on for the first time. The left eye was ok,it moved around a lot so I tried putting them on the other way and then they stopped moving around so much. The right eye however stung like a razor blade on the eyeball I immediatly took it out,my eye had gotten really irritated by it too,after wearing it less than 20 sec. I thought it was weird,since that had never happened before so I left it in a new solution for a couple of more hours before trying again. Nope! Still stung like a mofo. So I tried inspecting it for scratches or bulks in the container and such,everything was in order so it was clearly a production defect or sorts. I contacted Pinkyparadise and they sent me a new one after I had taken a couple of pictures for them to verify that they were faulty. The next one was perfect,except one thing. It had a cluster,a small lump on the inside of the lens that felt like it was scratching my eye,it was even visible when held infront of the light. So again I had to ask for a new one from Pinkyparadise. They gladly sent a new one again and the 3's the charm right? It fit perfectly,no discomfort out of the usual dry eye after a couple of hours. The first hour,they moved around a lot and felt kinda dry and I could feel I had something foreign on my eyes,I didn't like that. But after that hour or so they stopped feeling foreign and started feeling comfortable like my other lenses. They do move around a lot,and they're really fragile to the feel I think. Not like Vassen or Geo,so be aware of that when washing them. If they don't stop moving around,try putting them on inside out because they're really hard to determine whats the inside and outside when you have them in your hand. The color is strong,it doesnt look toned down in the dark or more vibrant in the sun. they stay the same no matter the lighting,which I think is a plus. However,the bottle says they're 14,5mm but the colored iris diameter is 14mm. I was a bit disappointed in that. 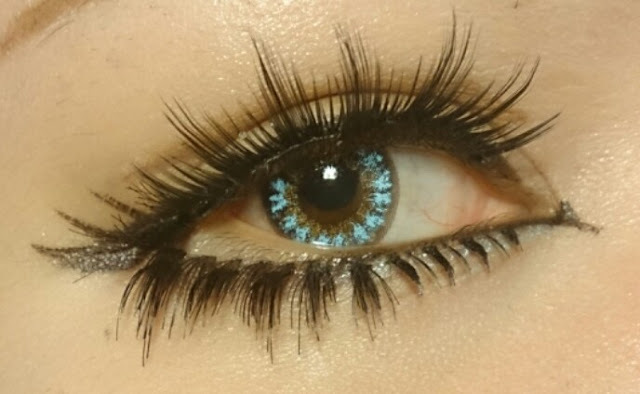 Makeup wise,they fit with toned down gyaru looks or people who have no gap between their iris and their lower lash line. Guess that's it for now, I've gotten so many requests to do a tutorial so I'm going to try and do that,however I dont know when it will be up. 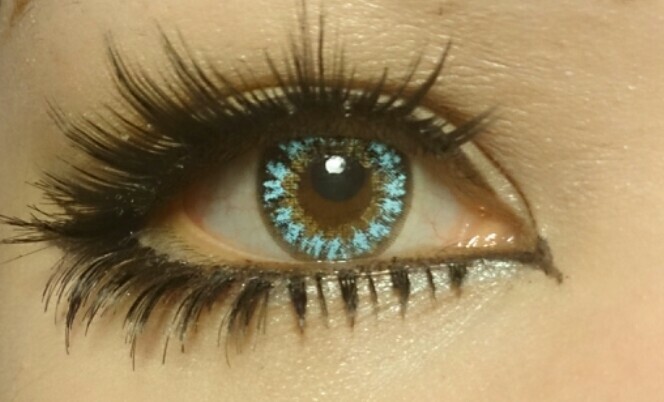 Those are some really gorgeous lenses! ^^ 1 year lenses are really good, and if you think about it, you can use them as much as you want. And I love your eyelashes! 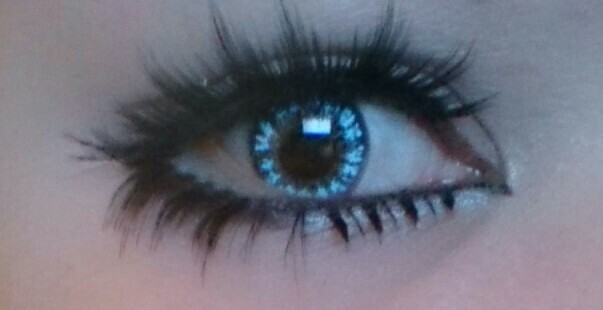 What brand are your eyelashes? Oh ok thanks, I've heard Ebay got some really good eyelashes selling there! do circle lense get more comfortable over time? and finally,yes I think they do,in some or another they reshape themselves to your eyeshape and these lenses do that,just beware that it takes a bit longer for these to do so ^^. The color of these reminds me of glow in the dark lenses. Your eye makeup is cute by the way! omg love them!! the color is awesome! !